The black and white, tearjerker, Heidi, starring Shirley Temple is one of my favorite films. As the story unfolds, little Heidi is stolen away from her grandfather's home in the Alps to be the companion of a wealthy, crippled, city-girl named Clara. 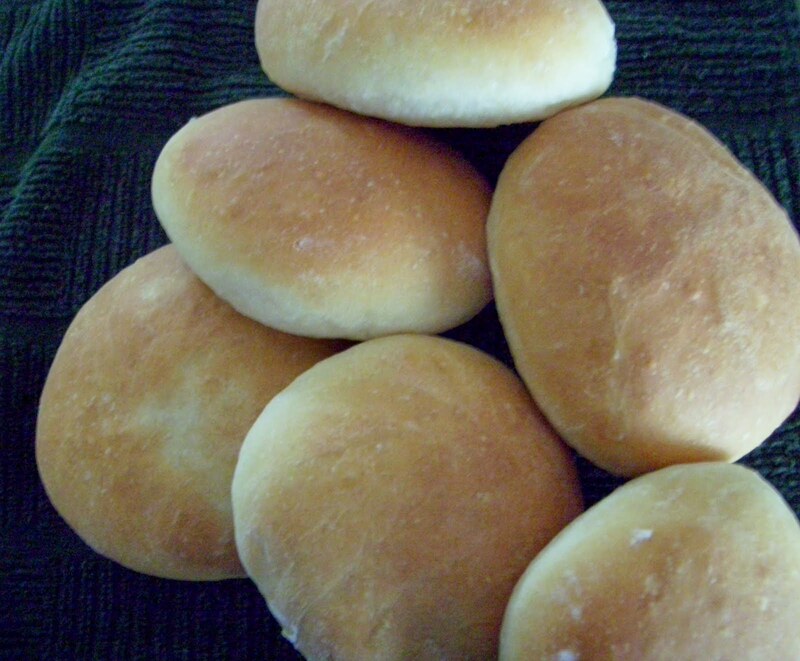 In one tender scene, Heidi hides soft white dinner rolls so she can, someday, take them back to Goat-Peter's toothless grandmother who is unable to eat the hard, crusty homemade breads. The dinner scene reveals that the wealthy population, in those days, ate white bread and the poor people ate the other kinds. In regard to the popularity of white versus whole grain loaves though, the history of bread seems to go back and forth. For instance, historical data suggests that in ancient Egypt if a baker adulterated his bread by removing the bran or the germ of the wheat kernels, he would be hung by the ears from his bakery doorpost. Those Egyptians were on to something! I have buckets of grain ready to be ground up with my special Vita-Mix attachment. However, it took me years to finally admit something out loud, "I don't like wheat bread!" Most whole grain bread isn't at the top of my list of favorites, either. Instead, I love the soft texture of fresh white bread and its mild flavor. I like the fact that white bread products do not clash with or overwhelm the flavors of other foods. They also don't have that scrubbing-pad texture that is so prevalent in whole grain and wheat breads. To accompany a plate of spaghetti, burgers, hot dogs, sloppy Joe's or a bowl of soup...I would most likely pick a white bread...French or Italian, sourdough, pita, potato, and so on...To keep things in balance, I do limit my intake of white flour products...it is an occasional treat and not a daily indulgence. Today, I share my favorite white bread recipe which makes a tender loaf, rolls or buns. A hamburger on a fresh, homemade bun is beyond wonderful! Note: Homemade breads do not contain preservatives and should be eaten within a day or two or frozen for later use. They are better the first day, however. Add all the ingredients to bread machine in order suggested by mfg. Use dough cycle. Add more flour to prevent sticking. Remove dough when cycle is finished. *Roll out on floured board. Form into loaf and place in a greased loaf pan. Cover and allow to rise in a warm place until doubled in size. Bake 375 degrees for 25-30 minutes until done. Set a piece of foil on top if bread is browning too quickly. Remove loaf from pan and cool on wire rack. By hand directions: Mix warm milk, water and yeast. Allow to proof (yeast will bubble). Add beaten egg and oil, mix. Add flour and salt and mix well. Add more flour as needed to make a workable dough. Knead on a floured board for 10 minutes. Put dough into a greased bowl. Turn dough over so the greased side is now on top. Cover and allow to rise in a warm place until doubled. Punch down and follow directions above from *. 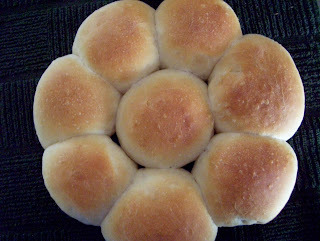 Rolls/Buns: Instead of rolling dough and forming it into a loaf, divide the dough into desired amount of pieces. 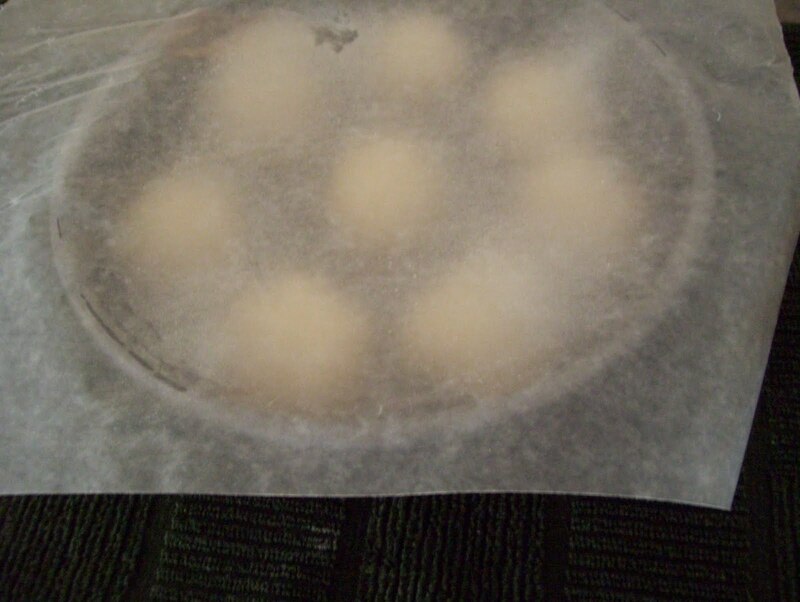 Rolls: form 16-18 balls and place in a (2) lightly greased cake pans, cover with greased waxed paper and let rise in a warm place until double, bake 375 degrees, 12-15 minutes. 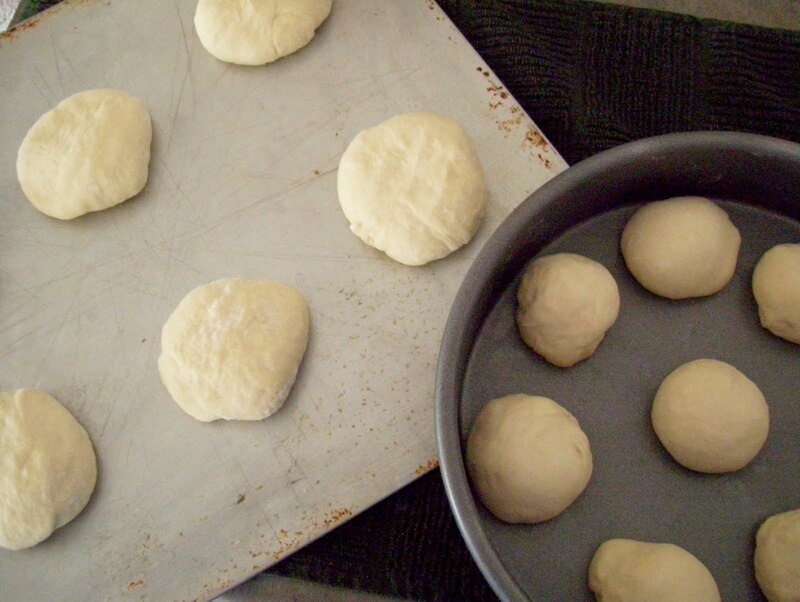 Buns: form 12 balls from the dough and flatten them slightly. Place on a lightly greased baking sheet. Cover and let rise in a warm place until double, bake 375degrees 12-15 minutes. Marian wrote: My mother made wonderful white bread. It awaited my sister and me when we returned from school. Oh, what fortunate young people we were!